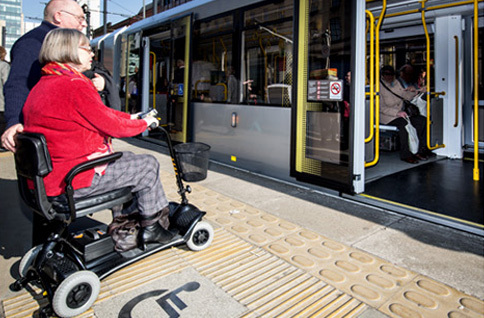 All Metrolink trams and tram stops are accessible for wheelchair users. 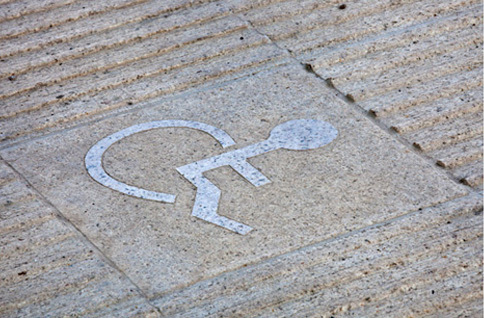 If you want to use the on-tram wheelchair bays or priority seating, wait for the tram at the marked disabled boarding points on the platform. When the tram arrives, the middle set of doors will open at the wheelchair bays and priority seating. If you need more time to get off the tram, use the passenger help-point next to the wheelchair bay to tell the driver. Mobility scooter users must have a mobility scooter permit to take their scooter on a tram. have a valid permit which shows your scooter is within the size limit and that you can use it competently.